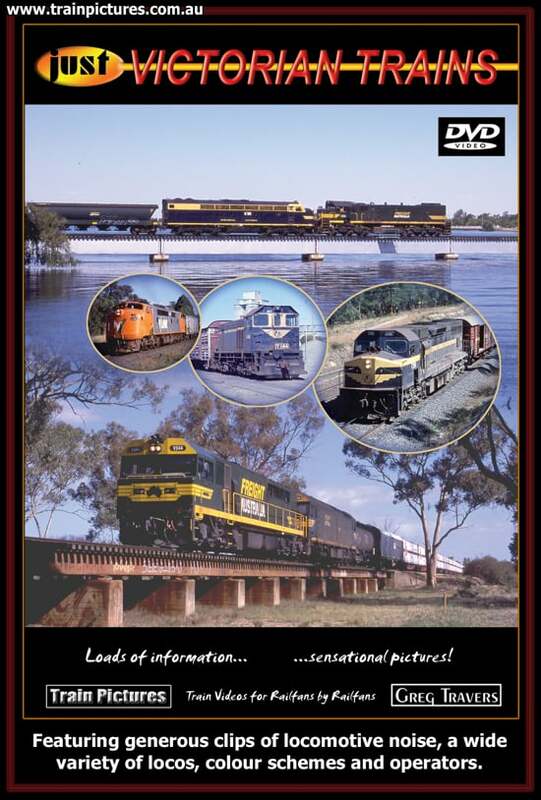 This production features generous clips of locomotive noise, a wide variety of locomotives, colour schemes and operators. Filmed at chosen locations through out Victoria and South Australia, Greg Travers takes us on a journey covering similar locations over a 22 year period. Flashback scenes comprise ten clips of 1980 vintage cine film, mixed with Video-8, Hi-8 and Digital Video masters filmed from 1998 to 2003. Many maps illustrate where the trains are running, while subtitles also brief the viewer along with specification charts on 21 locomotives. 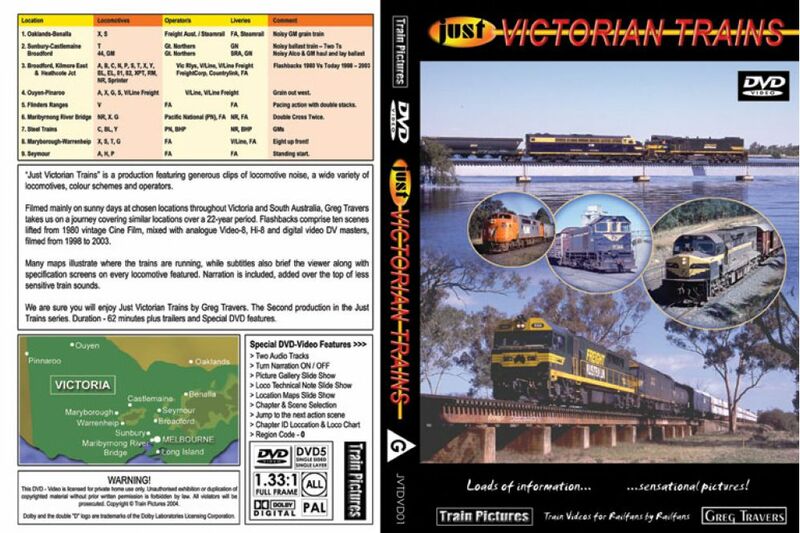 On the DVD version there is a choice of all locomotive and train sounds only (no narration) or with narration added over the top of less sensitive train sounds. A, B, BL, C, EL, GM, H, N, NR, P, S, T, V, X, Y, 44, 81, 82 plus coverage of the CargoSprinter, Diesel Railcar, Sprinter and the XPT. 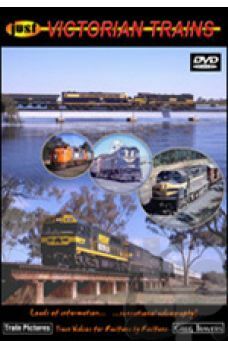 This is one of the most comprehensive and informative productions ever made on Vctorian diesel locomotives with still images and full specifications on every locomotive listed above. We are sure you will enjoy Just Victorian Trains. Extra features on the DVD include complete locomotive specification charts, still image photo archive and two audio tracks (narration on/off).